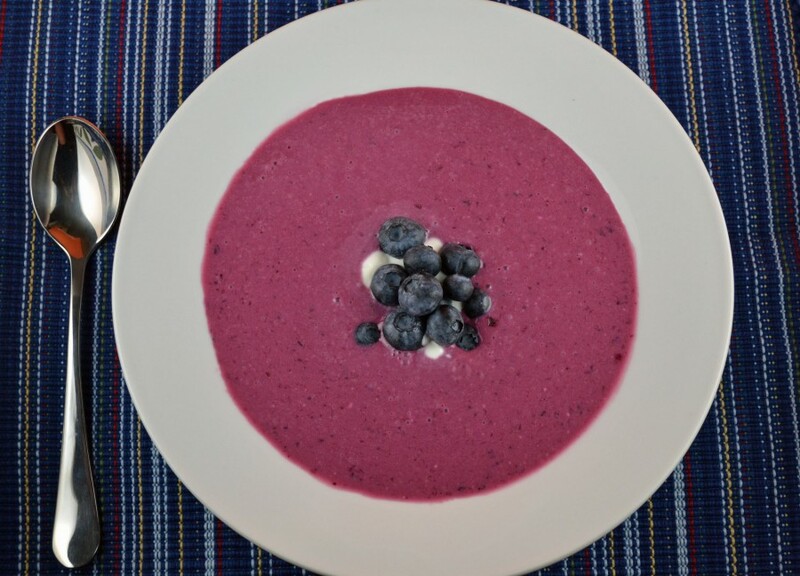 The idea of blueberry soup may sound a little strange. Due to their liquefied savory nature, cold soups often seem like somewhat of a disappointment. If you think about it, other than possibly tomato juice or V8, how often do we consume liquids that are both cold AND savory? With the popularity of cleanses and “green” juices as meal replacements, this may change in the near future (liquid pizza anyone?). However, I believe that this is currently why cold soup is often considered a slightly sad underrated sister to it’s hot counterpart. I’m not actually a fan of cold soups either, though they are starting to grow on me. Blueberries, however, are a favorite of mine. I eat them obsessively regularly. So when I saw this recipe for blueberry soup in “The Art of Good Cooking,” I was compelled to try it. 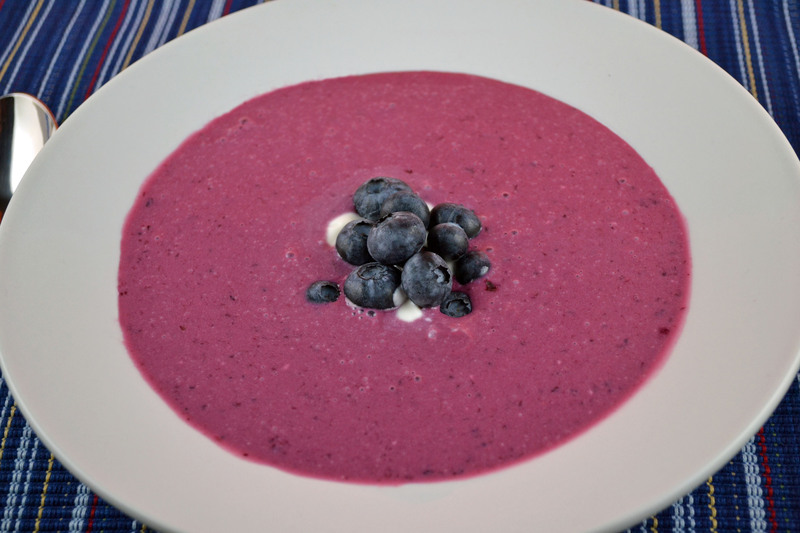 Apparently, blueberry soups originated in Scandinavia and Eastern Europe. Sweden, Norway, Iceland, Hungary, and Poland all have similar versions. This recipe seems closest to the Icelandic or Polish versions though many of them use some kind of starch, and this one does not (nor does it really need it). My grandmother wrote that this chilled soup is “not a sweet fruit soup, but more like a cold beet borscht.” I actually think it’s pretty sweet, yet tasty. The sour cream (yogurt could be substituted for a healthier version) cuts through the sweetness and combines with the lemon juice to give it a creamy tang. You may be surprised how much you enjoy it. I even made Popsicles out of the leftovers, which we’ve since started calling “soupsicles” – I know, a little strange, but surprisingly refreshing. And how many soups do you know of are so multipurpose-fully delicious? Combine water, blueberries, sugar, lemon juice, and cinnamon stick in a medium sauce pan. Bring to a boil then lower heat and simmer for 15 minutes. Remove cinnamon stick. Transfer soup to a blender (or blend with a hand blender) and puree until smooth. Whisk in sour cream. Chill and serve garnished with sour cream and blueberries. This looks so delicious. I know yoghurt is more healthy, but if I go to the trouble to make this, I think sour cream is a good idea! Love it. What a lovely site you have! Thanks! I prefer the sour cream as well.